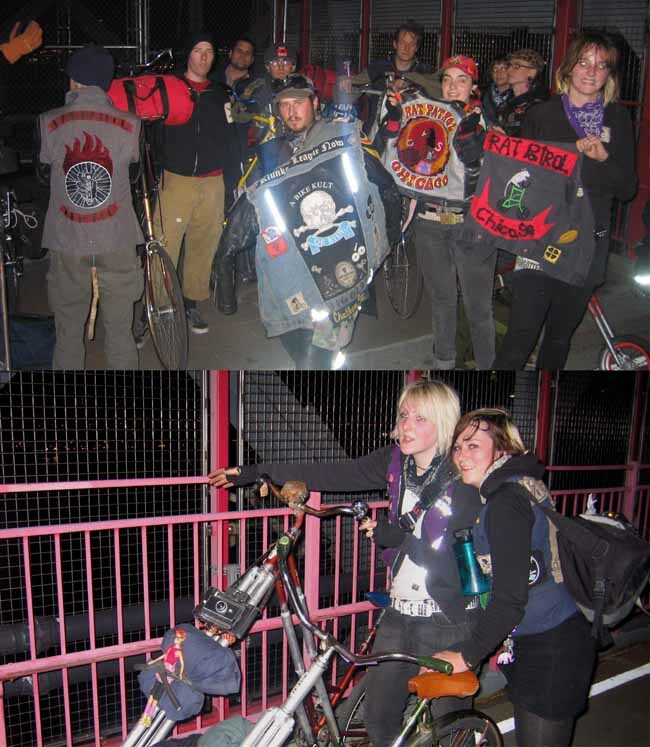 Last night, while riding my bicycle over the Williamsburg Bridge in New York City, I bumped into a group of "freak bikers." It appears that these adventurous and outgoing individuals like to get together in groups and explore urban environments on their hand crafted cycling machines. I thought these folks were really cool and asked if I could take their pictures, which they agreed too. 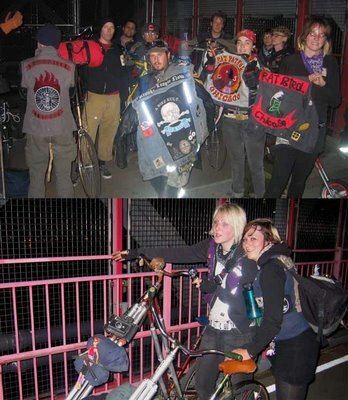 Two clubs were riding together, The "Black Label Bike Club" from Brooklyn and the "Rat Patrol" from Chicago. Good Stuff!! Thanks! And GOOD Luck with your event this weekend! actually it was Klunker League Now from Springfield Il, and Rat Patrol Chicago. on their way from the train station to meet the Black Labels. "Can Art Change the World?" "Google" Images of Painter Barnaby Furnas! STUPIDSHITE SUPER SITE OF THE WEEK!!! Conan and "Faces of Death" w/Muppets!